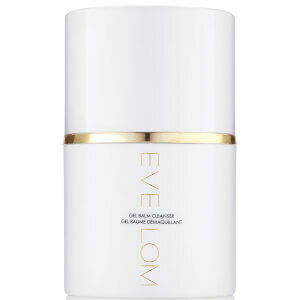 Remove dirt and impurities with the Eve Lom Gel Balm Cleanser; a hybrid, gel-to-balm formula that gently yet effectively cleanses the complexion. Comfortably massaging into wet skin, the soothing formula is able to perform a thorough cleanse in harmony with skin’s natural oil balance. Enriched with Eve Lom’s signature blend of Clove, Eucalyptus and Chamomile Oil, the gel-balm eliminates daily dirt, makeup and impurities from the visage, without stripping skin of essential moisture. Not only cleansing the complexion, the formula is infused with Shea Butter and Grapeseed Oil, which work in synergy to drench the face in a veil of long-lasting moisture. Expect radiant and nourished skin that feels calm and refreshed. Pump once or twice in the palm of your hand. Massage gently onto wet skin and rinse well with lukewarm water. Butyrospermum Parkii (Shea Butter), Bis-Diglyceryl Polyacyladipate-2, Isopropyl Palmitate, Vitis Vinifera (Grape) Seed Oil, Isopropyl Isostearate, Hydrogenated Vegetable Oil, Aqua (Water), Coco-Glucoside, Glyceryl Oleate, C12-13 Pareth-3, Ceteareth-20, Lecithin, Silica, Glycerin, Argania Spinosa Kernel Oil, Polyglyceryl-4 Caprate, Citric Acid, Phenoxyethanol, Polyglyceryl-2 Dipolyhydroxystearate, Butyrospermum Parkii (Shea Butter) Extract, Glyceryl Rosinate, Chamomilla Recutita (Matricaria) Flower Oil, Eucalyptus Globulus Leaf Oil, Eugenia Caryophyllus (Clove) Leaf Oil, Humulus Lupulus (Hops) Cone Oil, Maltodextrin, Spent Grain Wax, Eugenol, Olea Europaea (Olive) Oil Unsaponifiables, Limonene, Tocopherol, Hydrogenated Palm Glycerides Citrate, Subtilisin, Lipase. I love this product. The results are really good. It's the best cleaner I ever used!! I had used the cult Eve Lom balm previously and i just found the whole process of wiping off with a cloth tedious. This new gel to balm product is the perfect solution! 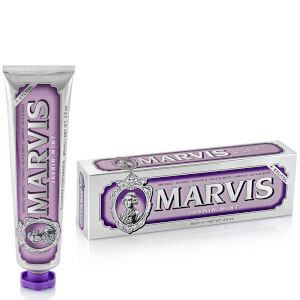 I put it on dry skin and it feels and acts just like a balm. When a little water is applied it emulsifies and washes off leaving soft, clean, hydrated skin. My only complaint is that it stings if it gets near my eyes so can't be used to take eye makeup off.